Daryl Johnson (Worcester Park, United Kingdom) on 12 May 2009 in Architecture. Enough with the deer. 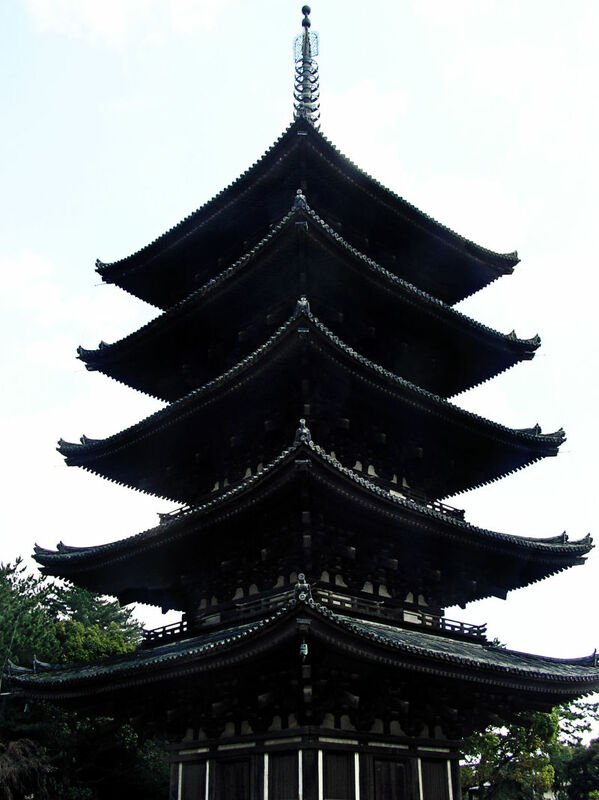 This is Goju-No-To, a famous pagoda at Kofukuji temple in Nara. What a wonderful structure!. Very nicely captured. Very interesting building. Is the contraption on top part of the original design or a camouflaged cell phone tower? @vu@granby - Wolfgang: Thanks Wolfgang! No no, it's part of the original design...! Nice composition and detail! Such amazing architecture and detail and so nicely photographed. Love the angle you've shot this from. Any shots of Blighty in the pipeline? @Stu: Thanks Stu. No, Digital Guff will be Japan-focused for the foreseeable future I think Stu! @Alun Lambert: It is Alun! Beautiful pagoda. Nara is a great place to visit. @akarui: It is Olivier; many interesting sights. very interesting place. that top part does seem oddly modern. good to know it's original. @grant: Thanks Grant, I don't know if it's 'original' but it's certainly of typical traditional design. Daryl, great pattern and structure. You captured it well. A very nice shot of this difficult to photograph pagoda.